I LOVED this book so much. It had been on my NOOK for almost a year before I read it, and I just kept putting it off and reading other things, and I’m so glad I finally read it and mad at myself for waiting so long because it was amazing! Its one of those books/series that’s just a hidden gem and more people need to know about it. This story revolves around three different main characters points of view. There is Cicely, just a regular teenage girl trying to get through high school. Then there’s Ander, Cicely’s best friend and a werewolf, with a long past that he’s been trying to hide from. And lastly there is Luke, the immortal vampire prince, who has just awoken from a very long sleep and is ready to get his revenge on the girl who betrayed him. Cicely doesn’t know about anything paranormal. She doesn’t know that the reason Ander doesn’t invite her over to his house is because he’s a werewolf and he’s living with two vampires. And of course she doesn’t know that she is the descendent of a witch, the same witch who betrayed Luke. So Cicely is pretty much in the center of all this paranormal drama and she doesn’t even know it at first. Cicely has had a crush on Ander for a long time, and she’s always felt like he didn’t feel the same way. But he does, he just has a hard way of being him self with her when he can’t even tell her who he really is. Then things get really tough when Luke comes to town. Luke wants to get his revenge by making Cicely fall in love with him and then break her heart, before he kills her. But when he starts having feelings for her instead, his plans don’t happen like he expected. Cicely isn’t my girlfriend. She may not even be my best friend any more. But she’s still my reason to live. This book kept me guessing at every turn. There were a lot of moments I didn’t see coming, and I love when a story isn’t predictable. You get to meet some other amazing characters later in the story who become main characters as well. I fell in love with all of the characters instantly and felt so much like a part of the story. Of course with every romance you gotta have a love triangle, and the outcome of it (you find out in book two!) is so not what I expected and I LOVED it! I love Laura’s writing style. It’s very smooth and easy going, but pulls you in with every word. I’ve already read book two in the series and I am desperately hoping she writes a third. 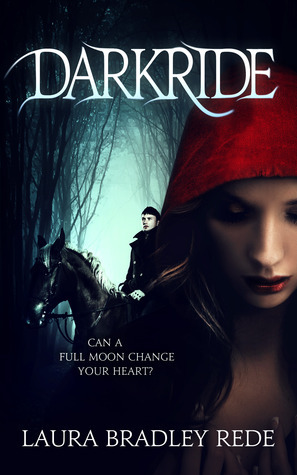 This is a Young Adult Paranormal and I would recommend it to everyone! It is definitely a series that will stay with me forever. On my TBR it goes 🙂 No need to say more! Oh I didn’t know this book but I just love the cover. I know the thing about having ebooks and not to read them. I have so many… But this one sounds really good and I confess I’m curious. thanks! Glad you enjoyed it, but no, not for me. Just bought it-thanks for the recommendation!